Applications have now closed for TV & Media Awareness Course. Please follow us on Twitter and Facebook to be kept up to date with future opportunities. If you want to deliver similar activities in partnership please contact info@mamayouthproject.org.uk. 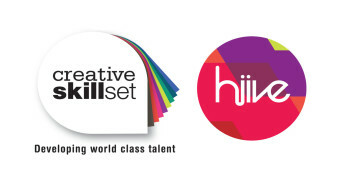 Gain practical experience in digital media working within a production company. The final week of the training will be a 1 week work experience with one of our industry partners, such as Warner Bros, Endemol Shine Group, Viacom, Fremantle Media, Sunset & Vine, Betty and Hat Trick Productions. Who’s it for: 18 – 30 year olds living in the boroughs of Islington, Hackney, Tower Hamlets, Waltham Forest and Newham ONLY. Applicants must not be in full-time employment or education. What skills you will learn: Creating content for What’s Up TV digital media platforms, which includes learning camera operating, lighting, sound recording, and to digitally edit/publish and distribute content. What’s Up TV is a SKY 1 show. http://www.whatsuptv.co.uk/ You will also gain CV tailoring, interview techniques and career mentorship. Take a look at some of the work produced by the East London Digital Media training team's.